Former MK Afou Agbaria, who once called for an intifada, claims the Israeli government is deliberately plotting against Arab MKs. 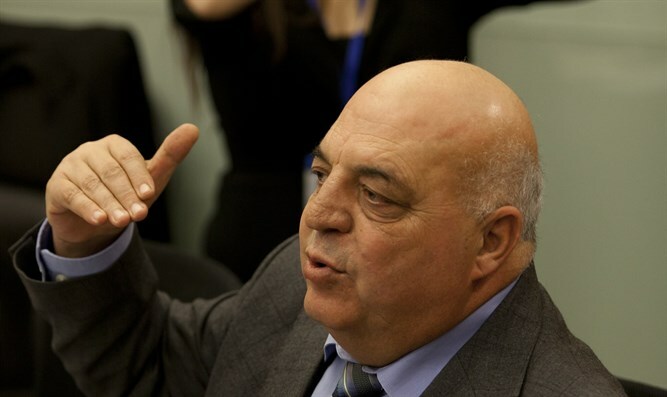 Former MK Afou Agbaria on Tuesday claimed that the Israeli government is deliberately working against the Arab Knesset members because of their support for terrorist prisoners serving time in Israel. Speaking to the Hamas-affiliated Palestine newspaper, Agbaria accused Israel of acting to limit the powers of Arab MKs who, he claimed, expose Israeli policy towards security prisoners. He went on to claim that initially the government’s actions were directed against the Islamic Movement, whose northern branch was outlawed last year, and now there is a plan to harm Israeli Arab political movements in Israel. It is in this context, claimed Agbaria, that the accusations against MK Basel Ghattas have surfaced. Israel wants to silence those calling for an end to the “settlements” and “theft of Palestinian lands”, while it initiates the Regulation Law "which is part that land theft,” charged Agbaria. He also claimed that Israel wants to cover these "crimes" by accusing Arab leaders of extremism and acting to harm Israeli security, and if this trend continues it could revoke the citizenship of Arab MKs. While he served as an MK for the Hadash party, Agbaria publicly called for an Arab intifada during a debate in the Knesset. In another incident, he published a Facebook picture portraying Prime Minister Binyamin Netanyahu as a bloody-handed killer. Agbaria’s comments on Tuesday came as Ghattas was questioned by police on suspicion of smuggling cellular phones to terrorists in Israeli prisons. Following the questioning, Channel 2 News reported that Ghattas admitted to the charges, but a spokesman for the MK denied he did so.